Self-publish your own games through The Game Crafter's print on demand service! Are you a game designer? Join over 215,000 users in our community who love designing games and playing indie games! 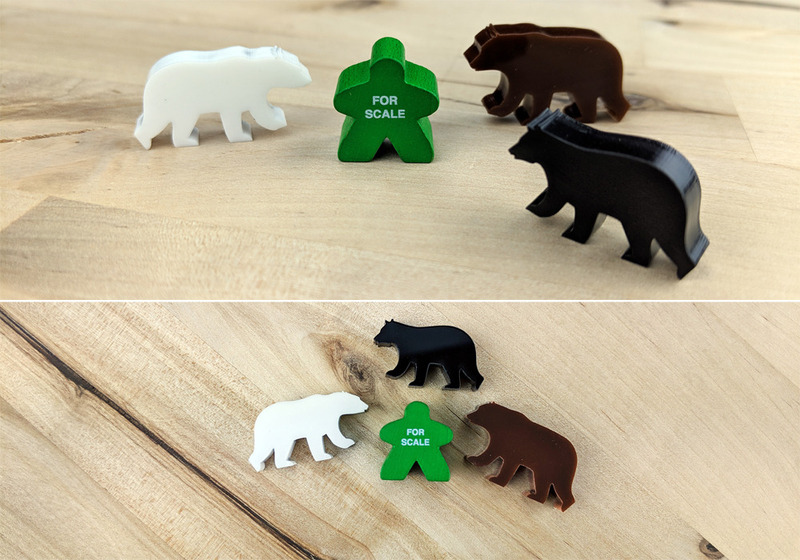 We added the Black Bear, Grizzly Bear, and Polar Bear to our Board Game Pieces Shop! We'd like to thank our friends at Michigan Department of Natural Resources who helped with the design and who plan to use the bears in an upcoming game they're producing.